Sobia Zuha is leading name in Pakistan Fashion Industry. Here is her brief introduction. 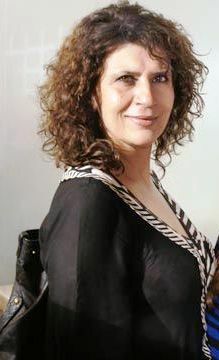 Sobia Zuha has been operating in fashion industry for more than fifteen years and now she is working hard to take it to a next level, on an international circuit as well. Initially Sobia started dress designing as a hobby and it started in was back in 1994 in Islamabad from one worker and today by the grace of ALLAH Sobia Zuha brand is currently operating in Islamabad centrally and in Lahore. Sobia Zuha,s mission is to provide practical and affordable clothing to women, which makes them look better. She wants her every cut and design to be different and unique which makes her client feel absolutely special, yet maintain the originality of designs and motifs. Sobia believes that there is no limit for creativity and she tries to make whatever describes the personality of the wearer. Sobia Zuha sell Pakistani women wear, embroidered dresses, Pakistani bridal dresses, salwar kameez, lehnga choli, Garara, Formal dresses, Casual Dresses and Party Wear. Hope you will like the dresses photos of designer Sobia Zuha. Please Give your Comments about the designer and her cloths.